Get out of Debt FAST! It takes less than an hour to enroll in the Debt Consolidation Program, so let's start TODAY! Enroll Today in a NON-PROFIT Debt Consolidation Program. FREE Consumer Credit Counseling. Your Debt Management Plan Helps You Pay Off Credit Card Debt & More... it's Easy! It's All Here.... Look No Further! A+ Rated At the Better Business Bureau. For more than 50 years, Debt Management Plans (also known as Credit Counseling or Debt Consolidation) have helped millions of Americans get out of debt. It is by far the most popular program ever created to resolve personal debt. Receive a valuable FREE PERSONAL OVERVIEW OF YOUR DEBT SITUATION, and learn how America's most common free of debt solutions works for you. Your counselor will address your current budget and debt numbers, to help you see possible solutions to solve your debt issues. You may have questions. Find the answers at frequently asked questions. If you have a question not covered on this page, please feel free to call us anytime at (602) 223-1700. A helpful, courteous representative looks forward to helping you. When You Get your FREE No Obligation, Confidential, Consultation Today ! SUMMER SPECIAL (A $69 Value) Yours for Just Calling! Get your 100% Free Consultation with a certified credit counselor and receive a FREE COMPLETE ANALYSIS OF YOUR CURRENT DEBT SITUATION. And, just for calling and getting a quote, whether you enroll in the Debt Consolidation Program or not, we’ll give you a Free Credit Report Correction Kit. Being in debt with lots of creditors can get dings on your credit report. Use this kit for yourself, your family, or your friends as a gift from us, to correct your credit reports... just for calling and finding out how you can get OUT OF DEBT and become DEBT FREE! How to claim your free kit: Simply send us an email at: claimmyfreecreditcorrectionkit@debtend.org telling us the name of the counselor you spoke with, and the date you spoke with them. Your voluntary debt-relief program can be dropped at any time with no penalty. Your debt help plan totals the amount you owe, creates an affordable payment for you to make each month, distributes that payment to the creditors you owe, and sends you a receipt accounting for each penny every month. Your debt plan will get your interest rates cut down enormously so you are out of debt in a few years, rather than a few decades! Best of all, no qualifications are required...you don't have to own a home, or have good credit to take advantage of this incredible opportunity. And, you can pay off early at anytime with no pre-payment penalty! And, you will have the peace of mind knowing that Your Debt Consolidation Plan is being handled by a Non-Profit Agency approved by the IRS as a 501(c)3 organization! "Got out of debt in 3 and 1/2 years! ", " Wow, it worked! ", "Loved working with the debt consolidation team, all the way through! "This program is unbelievable! ", "I saved over $23,000 in interest because I got my interest rate cut way down! "I am so happy I called for debt help. I received my agreement by email, I electronically signed it, and emailed it back. It was soooo easy. "I had credit cards that were behind, so I wanted to get into a debt consolidation program quickly. I did not have to make a payment until 5 weeks after I signed up. This let me catch up on my other bills, first." "I had fraud on my credit and didn't know what to do. Now, my credit is locked down and I feel safe." "My credit reports had mistakes, as well as other peoples credit on it. Now my credit report accurately reflects my true credit history and I am relieved." "I didn't know what was on my credit report, or how to read my credit report, but now I do and I feel empowered." "I didn't know exactly who I owed or how much I owed my creditors. But thanks to Phoenix Debt Relief Help Center, my credit reports listed the names and address's of each creditor so I could enroll in debt consolidation, and get on the road to becoming debt free." "They stayed with me all the way through, and at the end of debt consolidation I was able to correct my credit reports to accurately show that my accounts were all paid off. It feels great to be debt free and have my credit reports accurate." 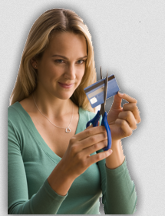 What Credit Card Debt and Bills can I put in the Debt Management Program? Click here to see what you get for FREE when you call for a FREE QUOTE on the bills that you owe. We have been established since 1992, and our goal has revolved around one main concept: serving everyone the ultimate in help, whether its debt relief help, providing credit reports, providing solutions to solve credit report issues, or helping debt clients determine who they owe and how much they owe. Unlike our competition, we actually care about people and enjoy helping those in need. After more than 23 years of experience, it's now in our DNA. Our team includes an MBA and other highly qualified professionals, so you are receiving top-notch help whether it is directly from our office or other professional organizations that we may refer you to for additional help. Call for Non-profit Debt Consolidation, Credit Counseling & Debt Management. Call for help with your Credit Reports. We are A+ Rated with the Better Business Bureau. We are #1 in Metro Phoenix, Arizona, including Mesa, Chandler, Glendale, Scottsdale, Gilbert, Tempe, Peoria, Surprise, Avondale, Goodyear, and other cities. "Helping People Get Out of Debt Since 1992 - A+ Rated at The Better Business Bureau"